For an incredible atmosphere during your wedding reception, hire one of the best covers bands in the industry. Are you set to tie the knot in the upcoming months? Then you’ve got plenty of planning to do! One thing that you’ll need to tick off of your list is the entertainment arrangements for your reception. Keeping your guests entertained at your reception is vital, as it will help to create that all-important atmosphere, and everyone will be able to look back on the party with really fond memories. One of the best ways to wow your guests is to hire a wedding band to perform covers of the songs that mean the most to you all. So why hire a band over, say, a DJ? Well, there’s an undeniable excitement and energy that comes with a live performance that you just don’t get from recorded music. 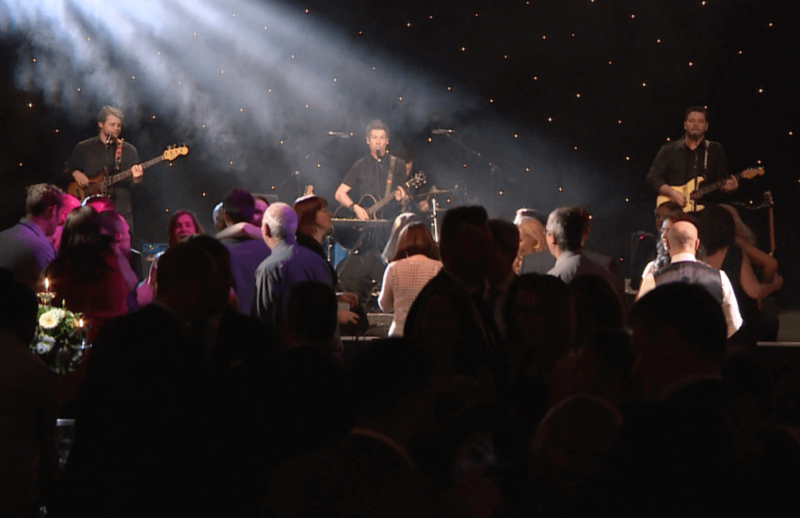 With a band performing right there in front of them, your guests will feel much more engaged with the music than if it was just being played over the speaker system. If you hire an experienced wedding band, you can rely on them to know exactly how to get everyone up on the dance floor. Whether it’s by interacting with the audience or playing some party classics, they’ll have all your guests up on their feet before too long. When you hire a covers band to perform at your wedding, you are much more in control. Arrangements for special moments, such as your first dance, can be created with your band’s help. A great covers band are one who are flexible and open-minded. Say for instance there is a song that is perfect for your first dance but you’d like to have it performed acoustically; or you’d like a longer song cut down a little? With a live band, each note of each song can be fully customised to your unique requirements. That’s something that you just can’t do with a DJ. An incredible set by an experienced wedding cover band is the best way to round off your special day. Your wedding band won’t just create an incredible atmosphere on the night, but they’ll help you and your guests to create unforgettable memories too. Apart from you walking up the aisle, your wedding band’s performance will be the thing that your guests look back on with the most fondness. Music triggers such a huge emotional response in us, and dancing away to your favourite songs with the people that you love the most around you is going to stay with you for the rest of your life. A wedding can be stressful – just ask any bride or groom on the morning of the big day. Once you have said ‘I do’ and exchanged rings though, the most monumental moment of your life has passed without a hitch and you can celebrate in style. A wedding band will help you to create the perfect set list to celebrate the beginning of a lifetime of happiness together. So if you want to treat your guests to a performance that they’ll never forget, then book your band without delay!